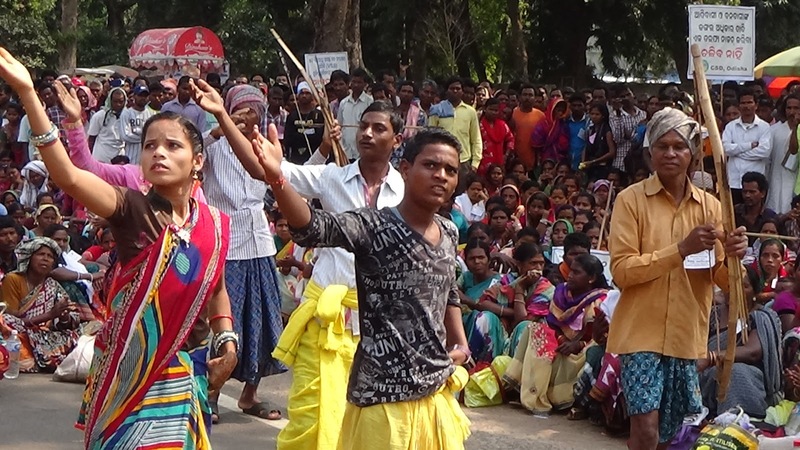 The State Chapter of Campaign for Survival and Dignity(CSD), Odisha which fought for the enactment of historic Forest Rights Act, (FRA), 2006 in the country has asked the Political Parties to priorities Forest and Land rights recognition issues in their partynmanifestos. Calling FRA as biggest land reform movement ever in the country after 1970s, CSD asserted that “while Government of India claims to have recognized 42,81,371 acres of forest land under individual forest rights' (IFR) and 190,41,652 acres of forest land under community forest rights to 18,22,161 individual claimants out of 40,64,606 IFR claims filed and 70,553 community forest rights (CFR) claims out of 1,45,637 claims filed respectively by the end of November 2018 in 20 states in the country, in simple calculation if claims of all claimants are recognized, it would be 95,11,178 acres and 83,90,245 acres against IFR and CFR respectively. Besides, despite individual and community occupation over forest land, lakhs of claimants (both IFR and CFR) are yet to file their claims”. CSD also wants political parties to promise to bring FRA like Act in all States’ Revenue laws for the settlement, management and governance of revenue common land by gram sabhas in the country in general and in the scheduled 5th areas in particular. Citing land status in Odisha CSD said, “In Odisha, scheduled 5th area constitutes around 45 per cent of the total geographical area of the State including 7 districts fully and 4 districts partly and in these districts, the community lands (the so called Govt. land constitutes 50% to 85 % of the total geographical area of these districts. Thus CSD asks the parties to promise for recognition of preexisting rights over forest land and distribution of revenue land amongst landless through Gram Sabha. CSD is of the view that despite progressive legislations like FRA, 2006 and PESA, 1996, the State Govts have failed to aware the common people on these constitutional Acts and Rules rather taking the ignorance at the community the State and Central Governments are openly violating them. “Of course we have largest democracy in the world, but still even after 72 years of independence, most of our citizen hardly understands what does Govt. means, and even many laws framed in the colonial time continue to rule the people. Thus to deal with the situation, CSD has asked the political Parties to promise to replace the existing Panchayatiraj System in the country (which do not recognizes a village as the unit of governance and disempowers the people empowering the bureaucrats and people’ representatives) with “Gram Sabha Sarkar- direct democracy” system in every village having its own Panchayat-“executive body” exclusively of its own gram sabha members with 70% quorum of the Gram Sabha in the line of FRA, 2006. “While the Government of Odisha claims to be No.1 in issuing highest number of IFR titles in the country, in fact it has done a mess by issuing IFR titles without ground demarcation in most of the cases, rejecting huge number of IFR claims of both STs and OTFDs and not intimating them of the cause of rejections, depriving lakhs of OTFDs from filing IFR claims and there has been even mess in whatever CFR titles issued in the state", CSD claims and seeks urgent rectification of these issues. To ban alcohols in the State.